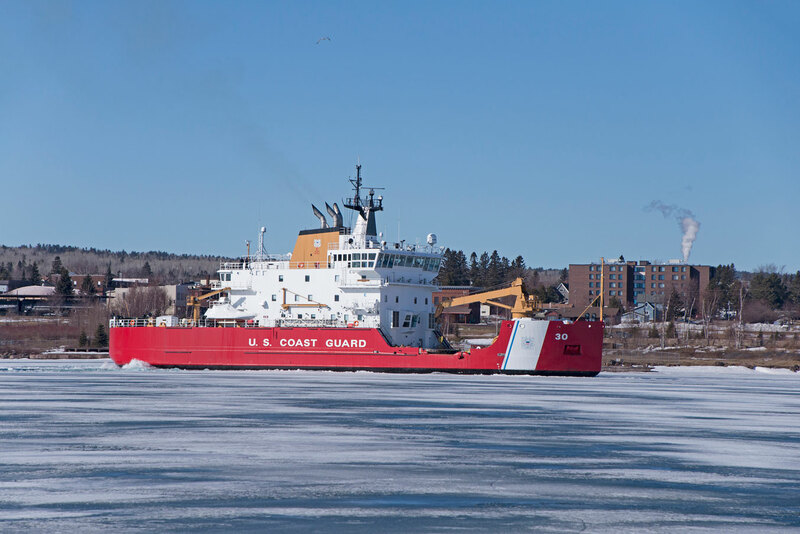 The USCGC Mackinaw was docked in Duluth over the 4th of July. I was hoping that it would be open for tours but it wasn’t. The crew did have a great view of the fireworks from where it was docked. 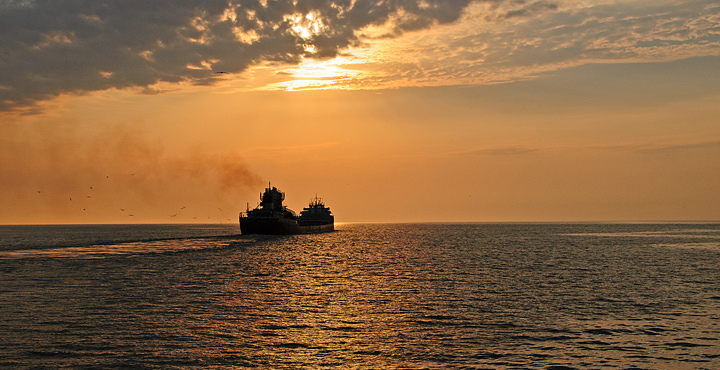 I happened to be down watching the Walter J. McCarthy Jr. enter the harbor when I took this photo. 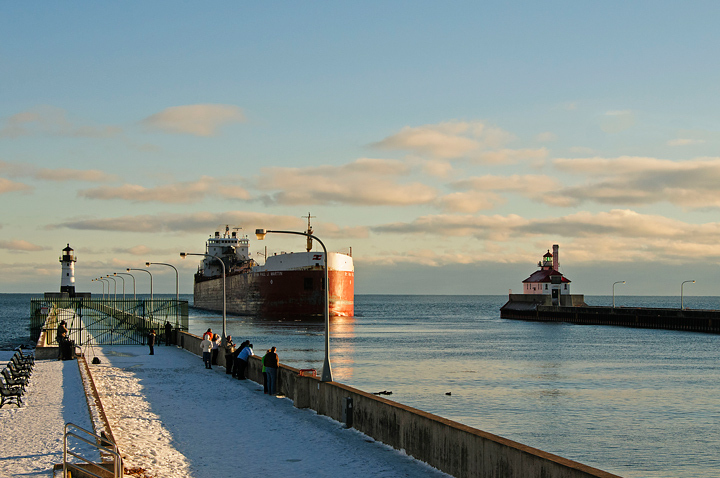 About 15 minutes later I looked out the window of the condo and noticed the Mackinaw was leaving the harbor. Too bad I miss it. 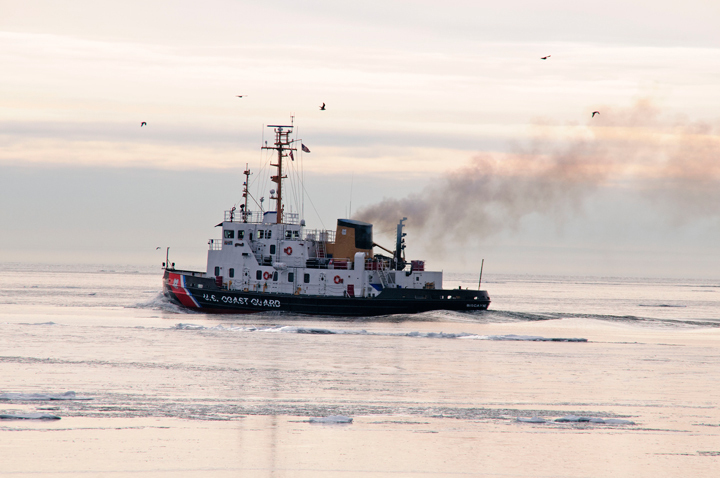 The United States Coast Guard Cutter Morro Bay was in Duluth, Minnesota, along with the Katmai Bay, on an ice breaking mission. It had just returned to serviced after being disabled in ice breaking operations. 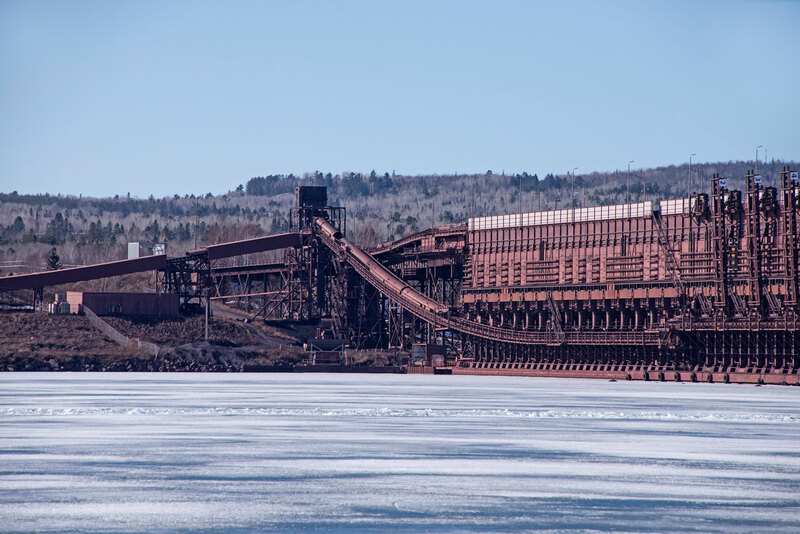 Most of the bolts holding the rudder had been broken off and it was towed from Thunder Bay to Duluth for repairs. 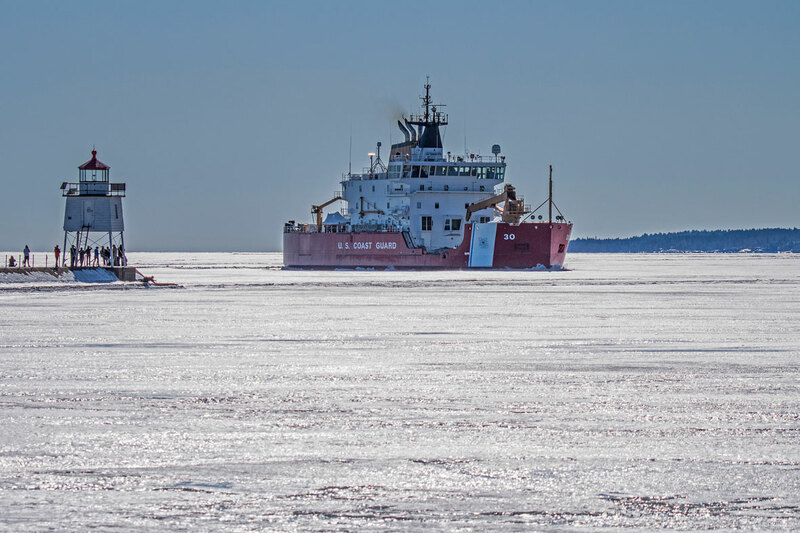 After being repaired is spent several days breaking ice in the Duluth area before heading back to Whitefish Point to resume ice breaking operations. On the return home from watching the Morro Bay arrive in port we were able to get a close-up view of a Peregrine Falcon. I flew right at us as we walked over the I-35 overpass. It would have made a great photo, unfortunately by camera was packed away. 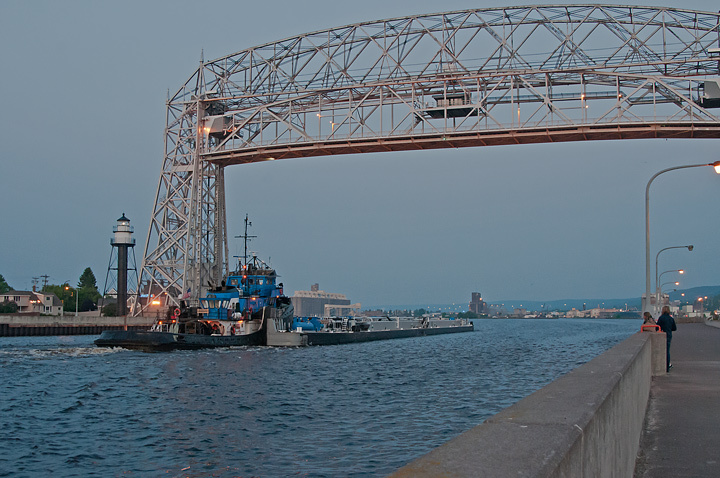 We watched as it joined its mate and flew around the Canal Park Steam Plant before heading for the Lift Bridge. We had passed the nesting area on the Greysalon earlier in the day and wondered if they were back. These photos were taken last week. 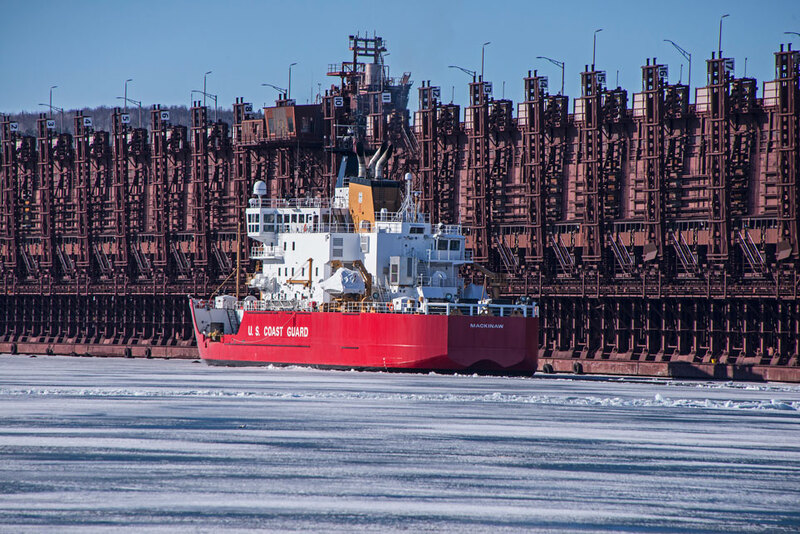 Tugs were breaking out several ships in the Duluth area prior to the start of the shipping season. 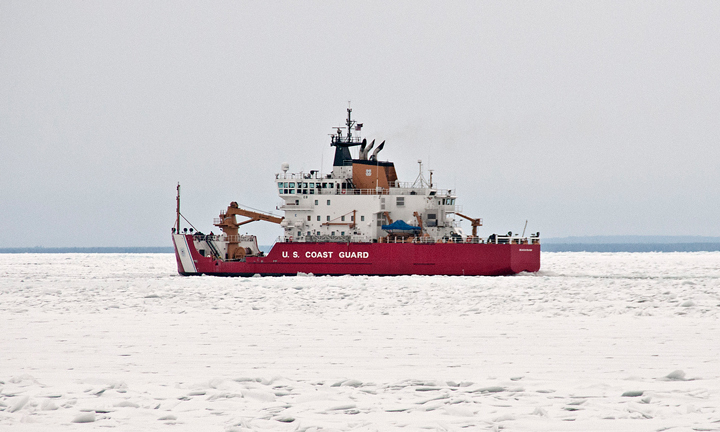 The U.S. Coast Guard Cutters Morro Bay, Katmai Bay and Mackinaw had broken a path to Duluth, Minnesota from the Soo Locks. 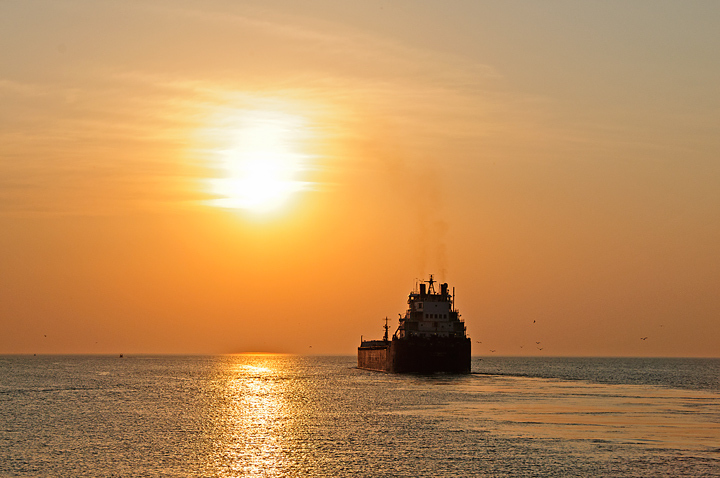 On Wednesday morning they left Duluth to Lead a convoy of ships back to the Soo Locks. 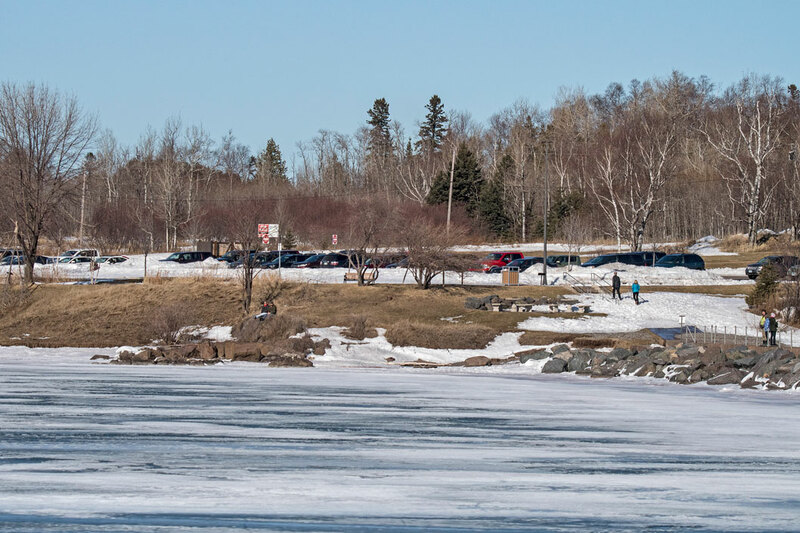 The convoy picked up the Cason J. Callaway just outside of Two Harbors and it picked up the Presque Isle near Grand Portage. 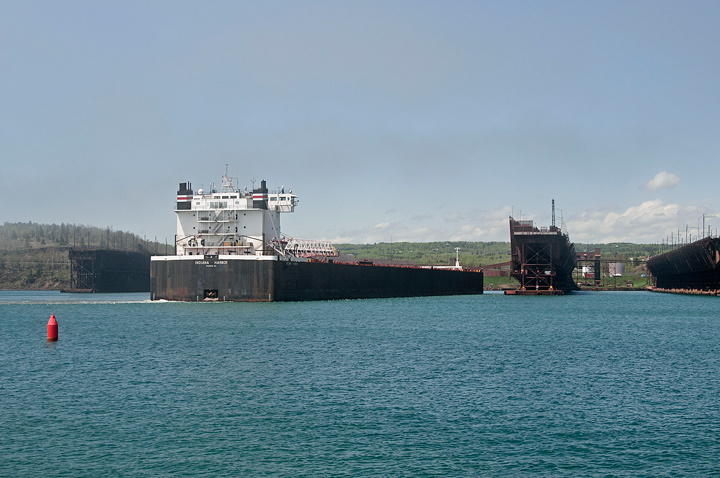 The John G. Munson was still loading in Two Harbors when the convoy left Two Harbors. 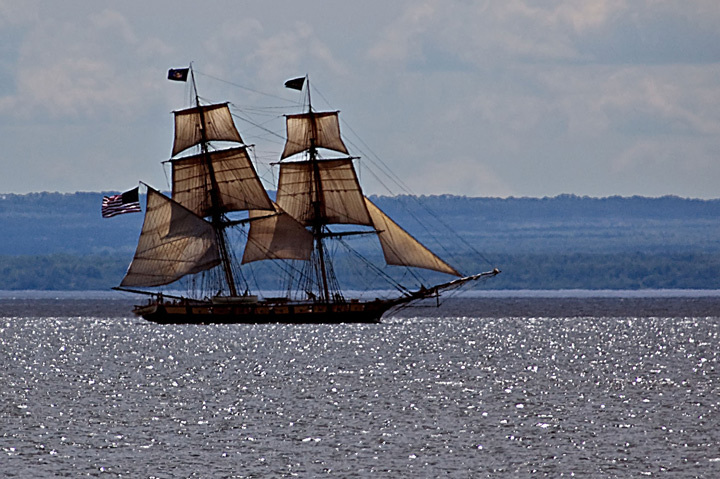 The convoy slowed as it neared Thunder Bay and the Munson was able to catch up. Things started going south after that. 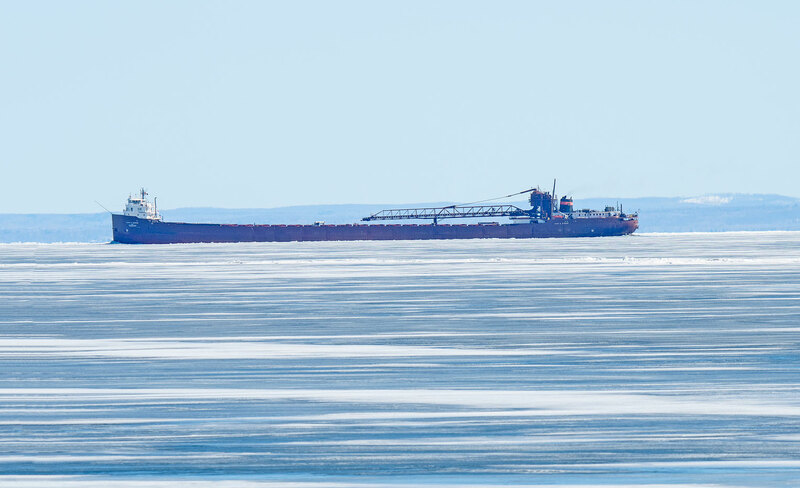 The Morro Bay and Katmai Bay stayed behind in Thunder Bay to break ice. The Morro Bay was damaged while breaking ice. 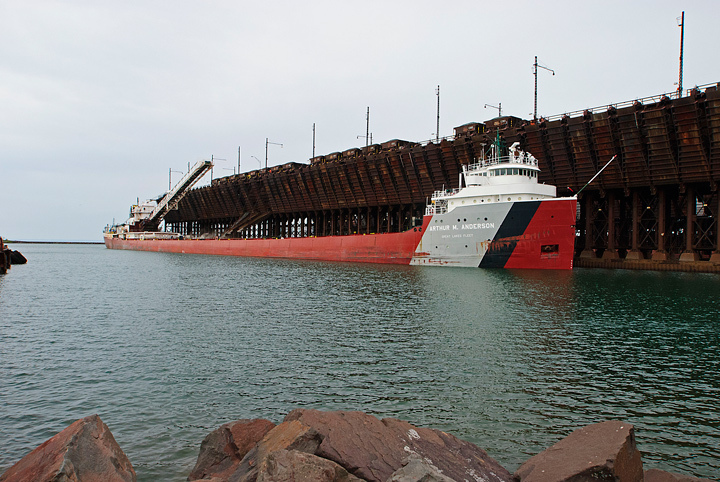 The Katmai Bay had to tow the Morro Bay back to Duluth with assistance from the Alder. 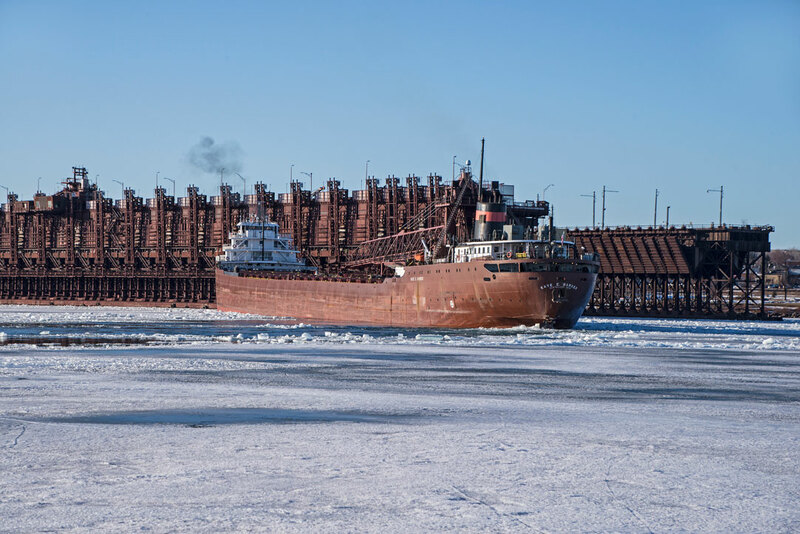 On Friday all three Cutters returned to Duluth with the Morrow under tow. Divers discovered that most of the bolts holding the Morro’s rudder were broken. 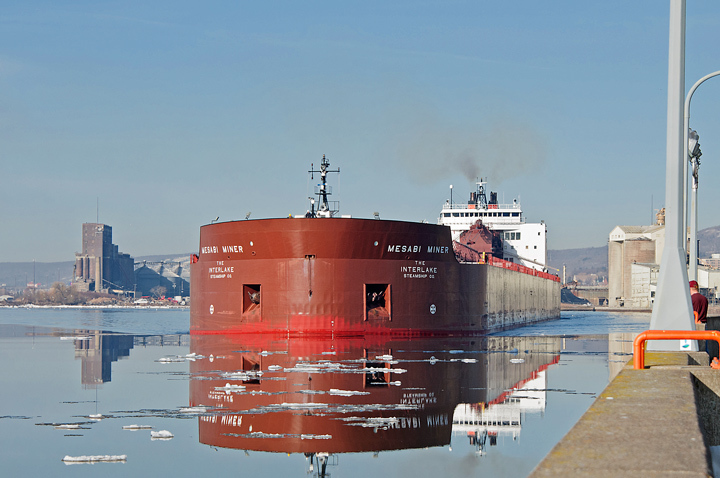 About the same time the Presque Isle was damaged by ice east of Thunder Bay and had to be escorted back to Thunder Bay by the Mackinaw. 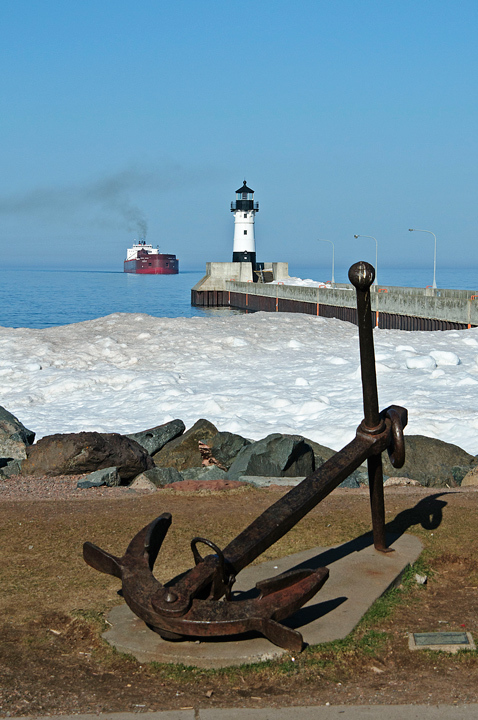 The Presque Isle has since returned to Duluth for Repairs. 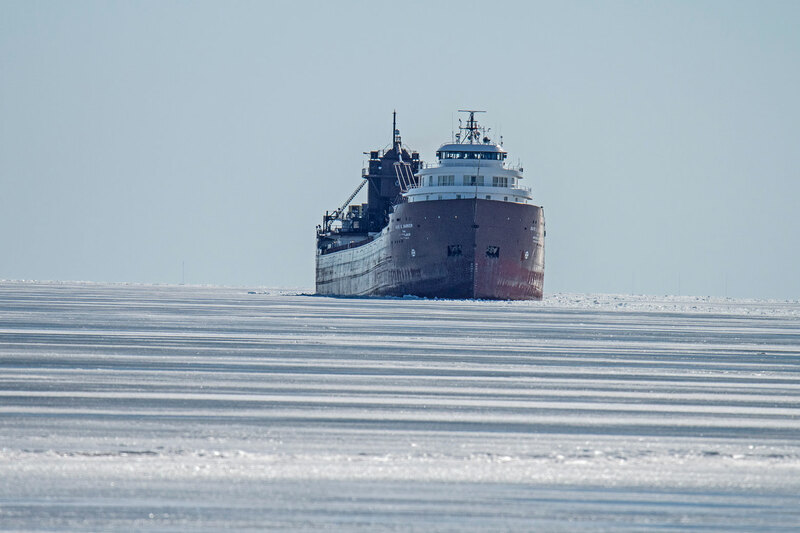 The Mackinaw spent Saturday in Thunder Bay breaking ice before departing late Saturday to finish leading the convoy to the Soo Locks. 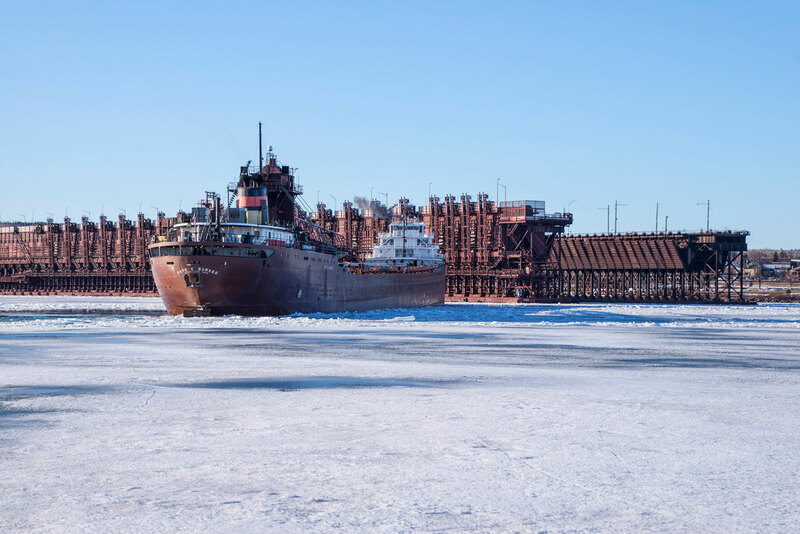 The John G. Munson and the Cason J. Callaway are stranded in the northeastern part of Lake Superior waiting for ice breakers to assist them in getting to the Soo Locks. 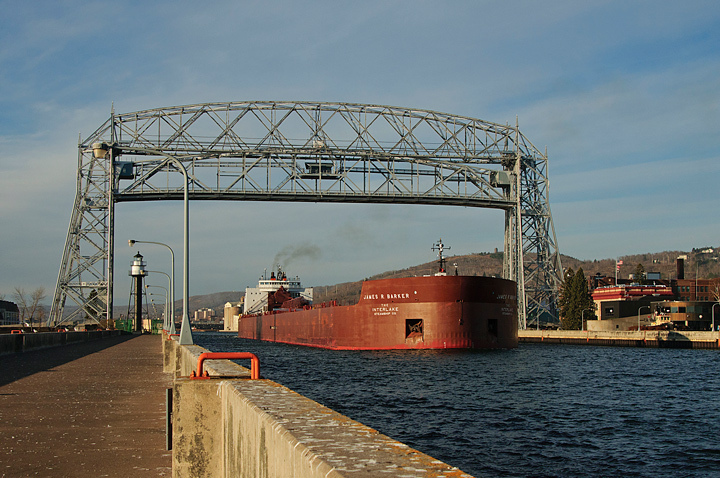 The Locks opened on the 25th but at this point no ships have been able to get to the locks either from Lake Superior or Lake Michigan. 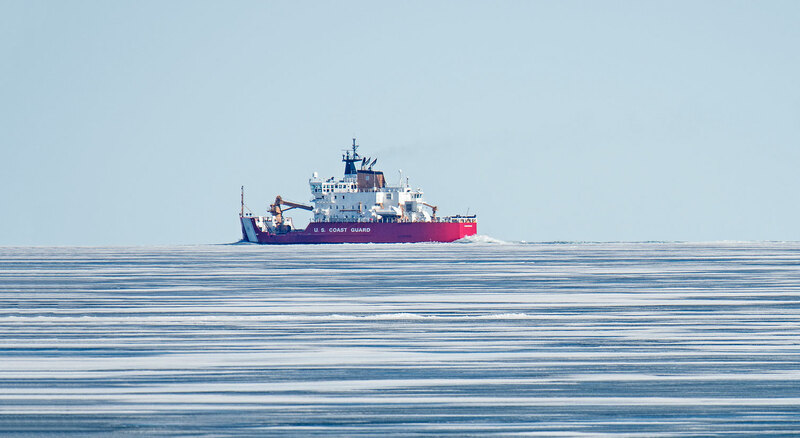 The ice is five feet thick in places and some of the pressure ridges are eight feet thick. 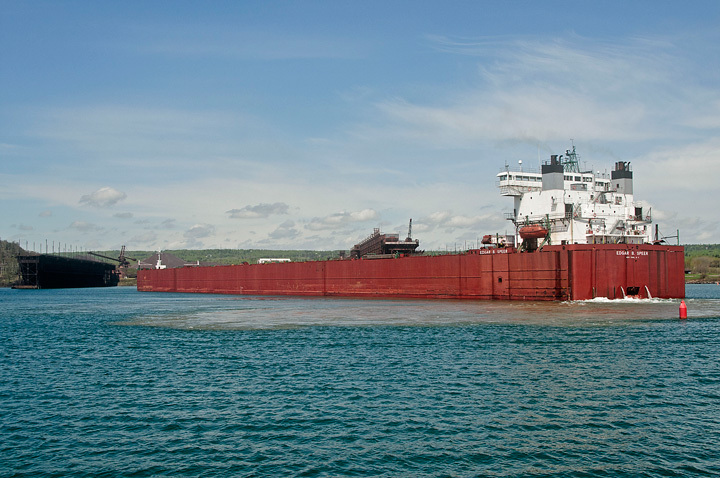 Three ships are currently waiting east of St. Ignace for ice breakers to assist them to the Locks.